I wanted to name this series “Lessons from the Garden” because it sounds nice and gardens are beautiful. However, I kill plants inside and out on a regular basis so that seemed misleading. In truth, I spent much of the summer of 2016 weeding my front yard. It wasn’t glamorous and didn’t result in anything with splendid color. I toyed with the idea of “Lessons from the Yard,” but I thought that title made it sound like I was in prison. I decided on “lawn,” and whatever you call it, I learned a lot sitting in the grass for a summer. Sometimes I went out to weed in the yard as a break from other work. I wouldn’t have my sharp-pointed weeding tool or bucket. I would just roam the yard looking for random weeds. Some weeds come out in one piece no matter what the ground conditions, but most weeds break off if you don’t use a weeding tool when the ground is dry. I watered patches I planned to weed the night before. However, on those impromptu weeding sessions, I often broke off the leafy top of the weed and left the root intact. 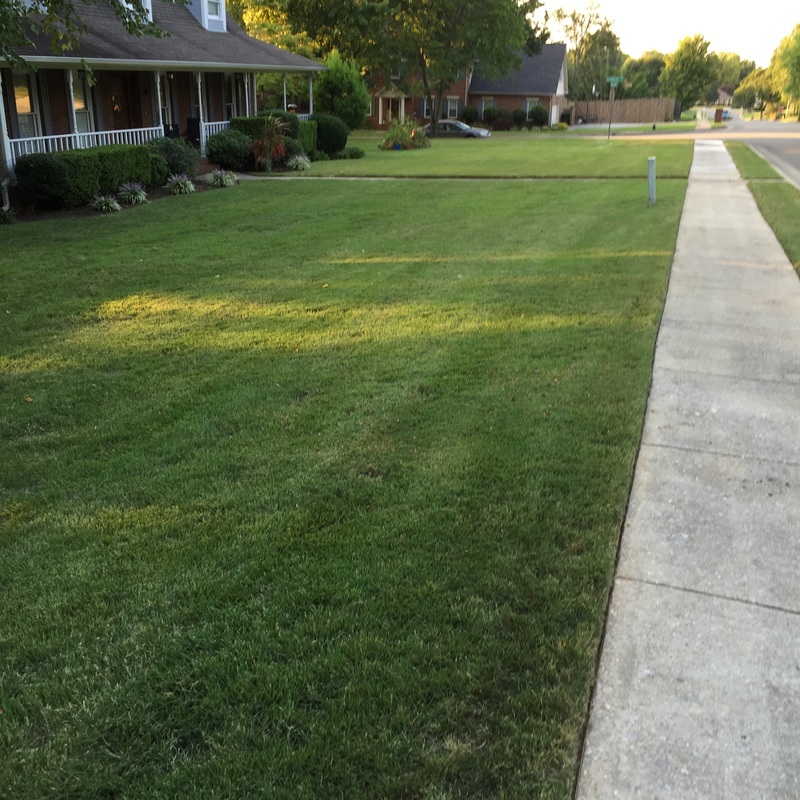 When you remove the top of the weed, the lawn looks good for a while, but the weed grows back. The root gets bigger, stronger, and more difficult to get out. You end up having to break the top off over and over again. I was solving the problem for the moment, but creating more work for Future Kathy. One of my main goals in life is to set up Future Kathy for success. She is always very grateful when I do. I take time in the evening to plan the next day so Future Kathy can just sit down and get started in the morning. I try not to over-eat so Future Kathy won’t groan in agony and get fat. Breaking off the top of the weeds was making things look good, but it definitely wasn’t helping Future Kathy. Like most things in life, you must get to the root of the problem to really fix it. Unfortunately, that takes time. To truly get rid of a weed, I had to sit down, use a sharp weeding tool, and dig down to the bottom of the root. It’s the only way to make sure that it didn’t return and that Future Kathy didn’t have to deal with it again. To get rid of other problems in life, you also have to take time to find the root cause and get rid of it. Chronic challenges like being late, losing things, and always feeling frantic can be eliminated mostly if we dig down to the root of the problem. If you are chronically late, what creates that situation? If you can’t find your keys most mornings, put a hook on the wall and make a habit of hanging the keys there. Yes, it’s a bit of a hassle and requires some concentration. However, once it’s a habit, you will never have to look for your keys again. Perhaps you are late because you just don’t give yourself enough time. Setting the alarm 15 minutes earlier until you can get out the door on time might be an easy solution. A “landing pad” by the door can save a lot of time. A landing pad is a place where you put everything that you need to take with you. It can have keys, papers, backpacks, etc. Instead of frantically gathering things at the last minute, we plan ahead and make a pile. It’s impossible to know what the solution to a challenge is until you dig down, find it’s root, and get rid of the root problem. Just like weeding, it generally takes some time to deal with the root, but do it once and you will never have to deal with that particular challenge, or weed, ever again.